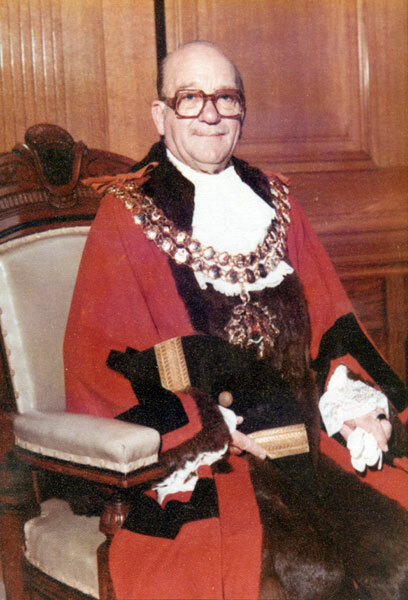 Member of Bolton Borough Council for 15 years. Alderman 1968. Chairman of the Housing and Establishment Committees on Bolton Borough Council. Chairman of the Planning Committee on Bolton Metropolitan Council. Retired from the Council in 1979. Made an Honorary Alderman March 1996. President of Bolton Golf Association. His wife, Nora, was Mayoress. 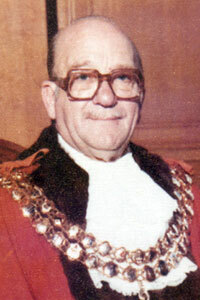 Formal portrait of James Rigby as Mayor of Bolton.